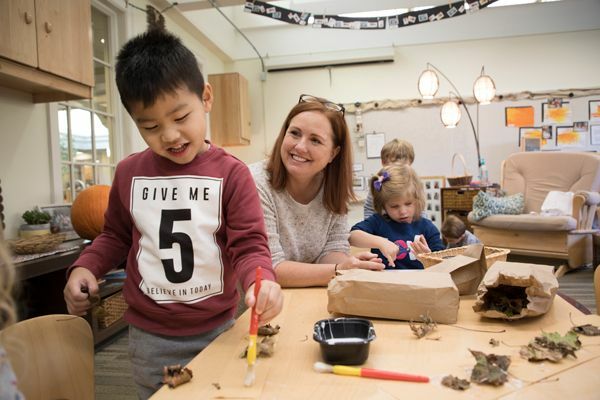 Hawken School, like all independent schools, relies on charitable gifts from alumni, parents, grandparents, parents of alumni, and friends to fulfill its mission. We invite you to invest in our present and future with a tax-deductible contribution and are deeply grateful for your support. Please contact the Development Office at 440-423-2965 if you have any questions. Hawken is pleased to announce that we have redesigned our annual giving program with you in mind. Over the years, we’ve heard you say that you want to support areas that are important to you – be it specific academic departments, the Arts, Athletics, Learning Enrichment, our faculty, our students, and so much more. Click here to learn more about the Hawken Fund. We often hear from our alumni and their parents that of all the schools our graduates attended, Hawken had the most profound influence on developing character and intellect. They tie it all back to a dedicated faculty and the notion of Fair Play. Click here to learn more about planned giving at Hawken. Capital and endowment gifts provide lasting support for the general operating budget, financial aid, professional development, and building and maintaining facilities. Gifts to these purposes in all sizes demonstrate a firm commitment to the school's core values and the quality of learning and teaching at Hawken. We encourage you to take an active role in supporting the present and future of Hawken.